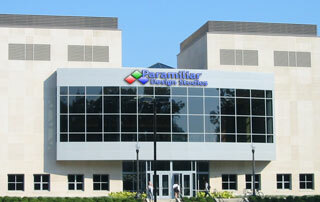 Paramiliar Design Studios offer comprehensive design solutions for the commercial and personal sector. We design web sites that are tailor made to your specifications; we achieve this by communicating every step of the way with our clients. Paramiliar Design Studios are passionate about our work; whether it is a simple website layout or a full custom e-commerce solution, we guarantee dedication to your dreams. Our customers appreciate our understanding of their business issues and needs, with our extensive knowledge of modern technology we are able to provide custom-made solutions for any problem you encounter and how you can gain an advantage in a competitive environment. Because of this, we offer a wide range of cost effective solutions. Request a catalogue of the work we have performed and a range of services we offer by filling in the form below. We approached Paramiliar Design Studios with a problem we were having in our warehouse, too much time was being spent on picking the products off the shelf, packaging them up and then creating the label that would be placed on the packaging. They came to visit our warehouse and immediately started telling us where we could improve the system. Now we have all our products in dedicated labelled bays, this has meant the problem of wrong products being sent has been resolved. But not only did they solve this problem for free they also integrated a barcode system on our picking slips which meant once the order had been packaged the barcode was scanned in and the label produced for us automatically with an email being sent to the customer telling them their goods where ready for despatch. We can?t thank them enough! 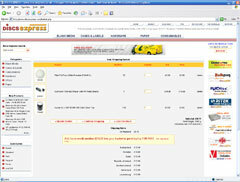 When Paramiliar Design Studios developed our content management system, we were ecstatic. Before we had to know how to use HTML coding to do anything but now it?s incredibly easy with a WYSIWYG editor that allows us to make the changes we need in a fraction of the time. We hired Paramiliar Design Studios to create our website layout, we wasn?t expecting much but what we got far out weighed our expectations, when a customers visits our site the one thing they always say is how good it looks and what makes it better is it loads up in no time at all! 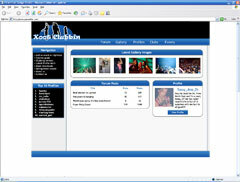 So not only do we have a fantastic looking website but a super fast website as well.